A new academic paper from Carnegie Mellon University examines the link between international DVD release delays and piracy. The study shows that release delays give rise to increased piracy, hurting sales in the process. In addition, the researchers conclude that the movie industry should consider minimizing or eliminating the unneeded delays. After a film premiers in theaters, movie fans usually have to wait a few months before they can get their hands on a DVD or Blu-Ray copy, depending on the local release strategy. This delay tactic helps movie theaters to maximize their revenues. However, it might not be the best option for aftermarket sales, which typically account for the largest chunk of a movie’s revenues. One factor that comes into play here is piracy. Due to artificial delays which vary across different parts of the world, pirates can often get their hands on a high quality rip of a movie before the DVD is officially released in their country. 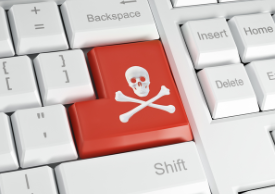 A new study published by Carnegie Mellon University researchers has looked into this piracy “window of opportunity,” and found that release delays are actually hurting DVD and Blu-Ray sales. Using real-world data the researchers investigated to what degree the availability of pirated movies during international release delays impact subsequent sales and found a clear positive relation. “Our results suggest that an additional 10-day delay between the availability of digital piracy and the legitimate DVD release date in a particular country is correlated with a 2-3% reduction in DVD sales in that country,” the researchers write. The results are robust and the researchers controlled for a variety of alternative explanations. More proof that the effect is driven by piracy is that the sales drops are proportional to piracy levels in a country. Data shared by various movie studios reveals that movie piracy in Spain is about six times larger than in other countries, an effect that’s also visible in the researchers’ analysis. “When we run our regressions on Spain and Italy alone, we observe a 10% drop in sales for every 10-day delay in legal availability, as compared to a 2% drop in sales for every 10-day delay in the entire sample,” the paper reads. Faced with these results, the paper suggests that besides going after pirates, Hollywood can also tweak its own business strategies to target the problem. The researchers note that thanks to the interconnected nature of the Internet, a pirated film is shared all over the world within seconds of its release. This means that, as opposed to 15 years ago, delayed international movie releases may do more harm than good. The research was carried out as part of Carnegie Mellon University’s Initiative for Digital Entertainment Analytics, which receives significant funding from the MPAA. However, the researchers state that their work is carried out independently. Whether the MPAA will take up the advice has yet to be seen, but it’s good to see that the study confirms that movie studios themselves can also do more to address the piracy issue.